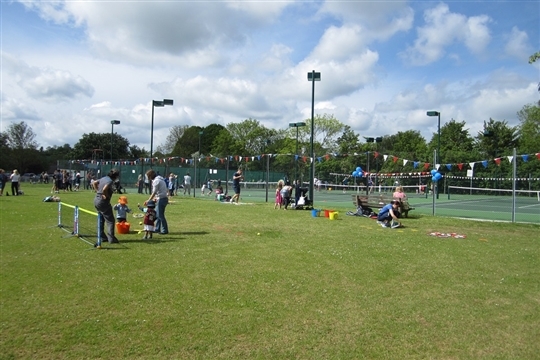 The Haslingfield Lawn Tennis Club is a friendly club for tennis players of all ages and abilities. 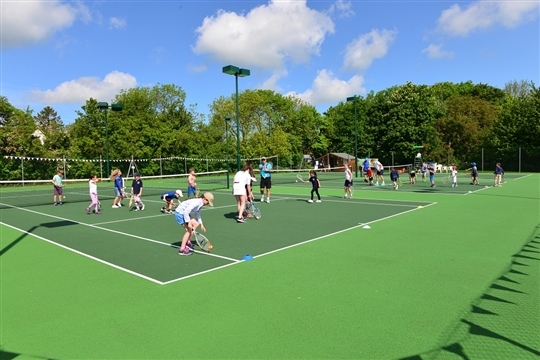 We have three floodlit hard courts, located on the recreation ground near the Village Hall. 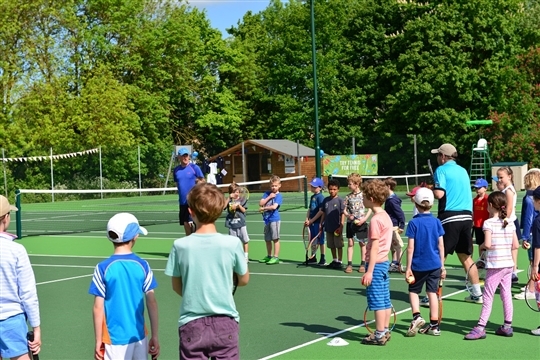 We have a comprehensive all year round junior and adult coaching programme for which membership is not required. 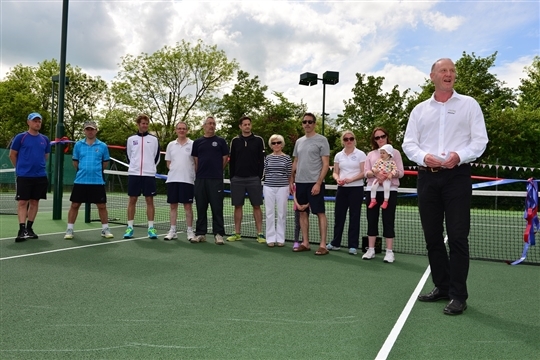 We field teams in the LTA tennis leagues and organise a number of social events throughout the year. 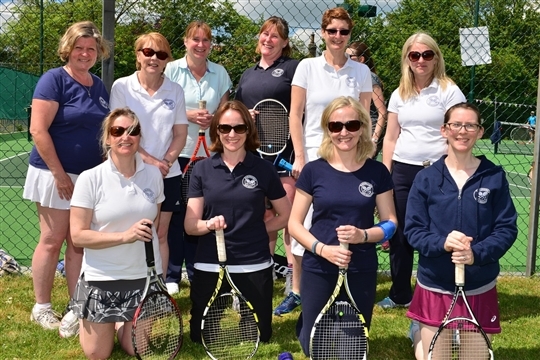 We were Cambridgeshire LTA's 2015 Club of the Year. Click here for a brief history of the Club. Click here for a rotation plan when you have 5 players.